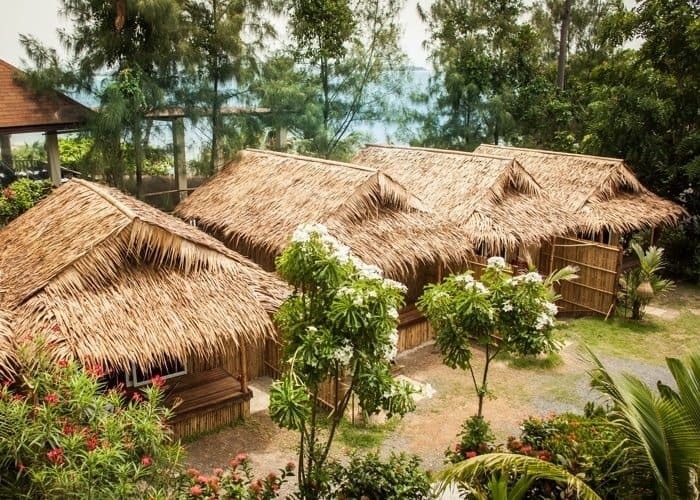 Imagine spending five weeks deeply immersed in serious authentic yoga practice led by world class facilitators, in the perfect supportive environment created just for that. Our 300 hour advanced yoga training course takes the yoga teacher or advanced yoga practitioner to the next level. If you would like to deepen your knowledge and strengthen your practice - this course is for you. 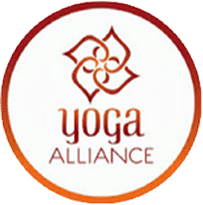 The five week or 300 hour course consists of three modules that are 100 hours each, and is registered with the Yoga Alliance. Trainees can obtain an RYT-500 certification upon successful completion of the course. 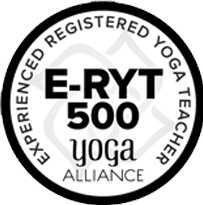 In order to obtain the RYT-500 certificate, trainees are required to complete all three modules, or five weeks of training. The Vikasa yoga system encourages function within an existing society, rather than against it or apart from it. This allows for deeper connections with the spiritual and physical beings that surround us on a daily basis. When individuality is inspired and oneness within community is celebrated, the teachings become inclusive of infinite possibilities. In this session, we will deepen the the practice of yoga asanas, and explore the evolution of asanas and sequencing from the classical scriptures of Hatha Yoga Pradipika until the current day. 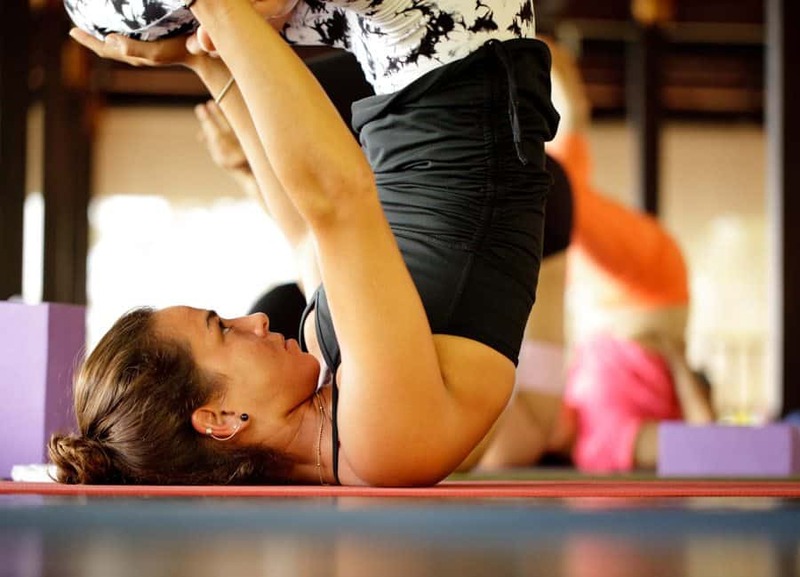 The training will focus specifically on the proper sequencing of asanas, advanced asana practice and achieving different energetic, mental and emotional effects with various modes of sequencing and practice. How to create models of sequences. Balancing of the energetic effect on your physical, mental and emotional levels. Result of your physical effort on your mental and emotional states. Simplification and modification of standard asanas, working with multi-level groups. Training sequence creation, practical examples and student sequence creation. 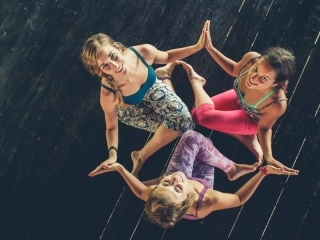 How yoga practice affects different shells of our bodies and perception. Principle of time minimization: minimal time – maximum effectiveness. 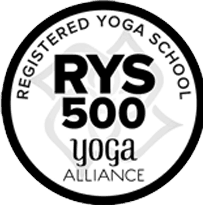 Creation of personal programs for your students and individual yoga style development. 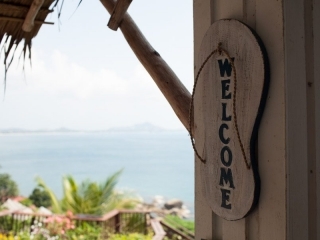 Organizing yoga retreats – how to organize and find new students to join you. Using physical adjustments to help students with alignment and progress in asana. How to teach a multi-level class, suitable for all levels of students from beginners to advanced. In the second part of the advanced teacher training, we explore the meaning of prana, the lifeforce energy, and how to control and manipulate it through breathing techniques. From understanding the breathing mechanics, we can experience the main effects of pranayama and energetic locks, as taught in the classical texts by ancient yogis. We will learn and extensively practice the techniques of breath control and breath retentions, as well as the theory and philosophy behind it. 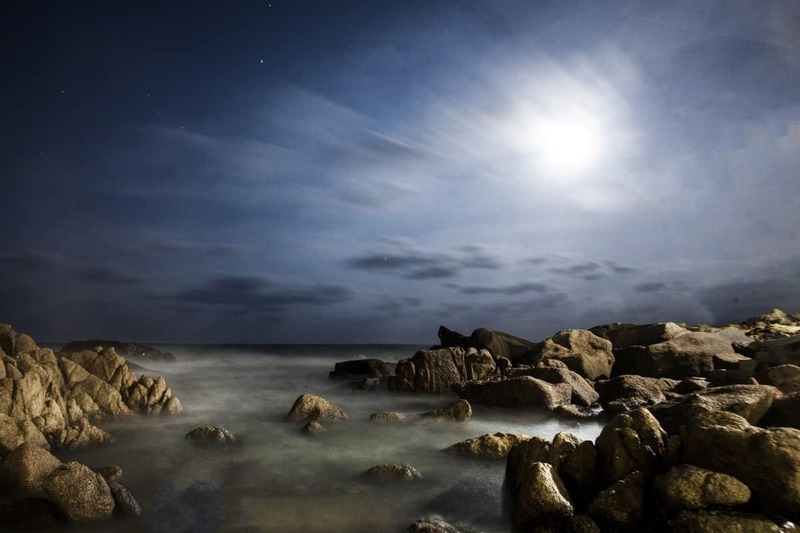 Mindfulness is a type of focused attention that entails simply exploring the quality of one’s awareness. It can be cultivated, and, like a muscle, strengthened with practice. The third session will focus on methods of concentration of attention with the goal of finding inner peace, and experiencing stillness of the mind and various blissful states associated with it. A psychological and philosophical understanding of the mind structure will lead the students to the ability of managing the mind’s activities to attain the state of yoga. Different techniques will be proposed an explored. Students will be gradually able to improve the concentration abilities, improve stress adaptation and to train the mind. 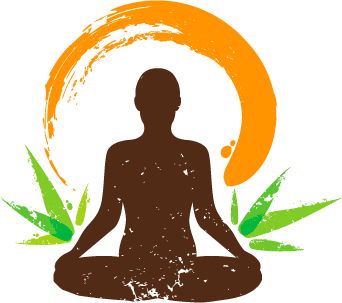 We will learn and practice various meditation and concentration techniques throughout the course. Understanding of underlying emotional processes is a big part of this module as well. We will spend time understanding emotions, and learning how to process and facilitate as well. Who needs to practice it? How can we practice it? Who is this immersion for? Are a serious student committed to the study of yoga. Wish to become a yoga teacher, differentiate and add to your yoga instruction skill set, or if you just want to dive into a deeper inquiry with yoga. Have a longing for immersion, in a 5 week all encompassing educational and spiritual guided program. 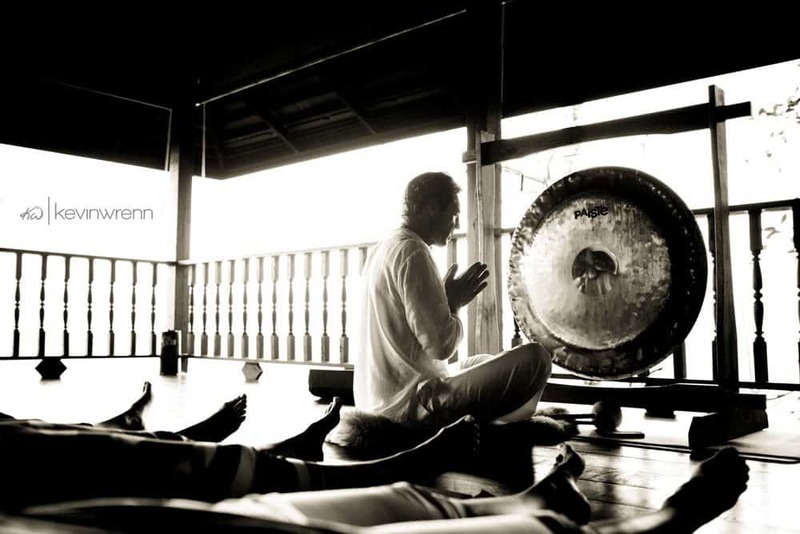 Feel a connection or pull to experience the beautiful energy of Thailand. 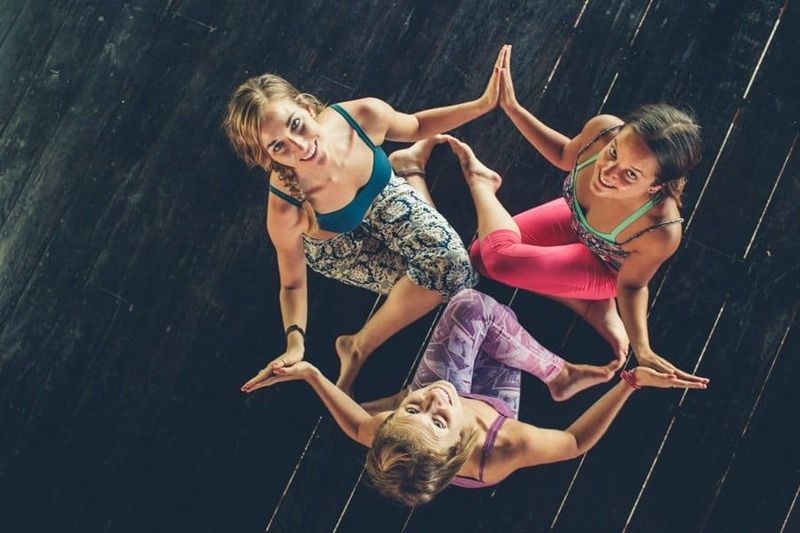 Our teaching program includes, daily yoga practice, lectures, experiential personal and spiritual development activities, lessons and time to practice yoga teaching skills and techniques, and adequate rest and relaxation. 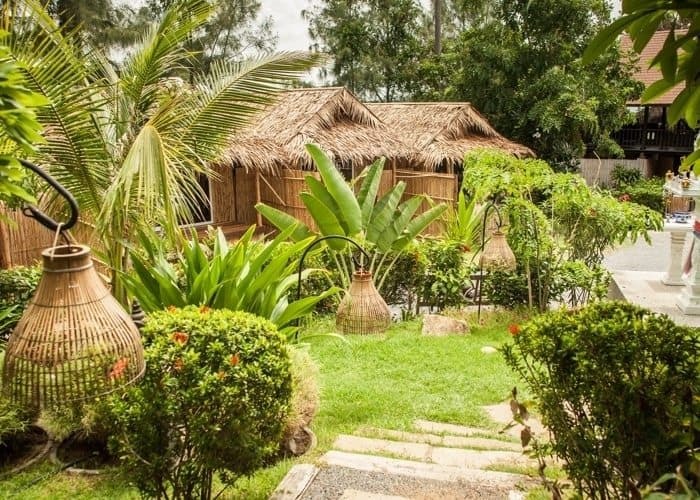 Unlike a local Yoga Teacher Training, where you go to classes and otherwise live in your normal surroundings [with the stress and responsibilities that come with it], this course is designed to be all-inclusive and immersive, so you can focus purely on your growth for the life changing weeks you are in Thailand. 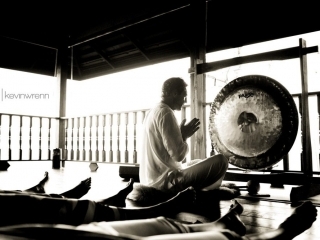 Kosta’s journey into yoga has taken him to the far reaches of the world, from remote Himalayan ashrams, to his initiation by a master monk in a sacred Sak-Yant ceremony in Thailand. 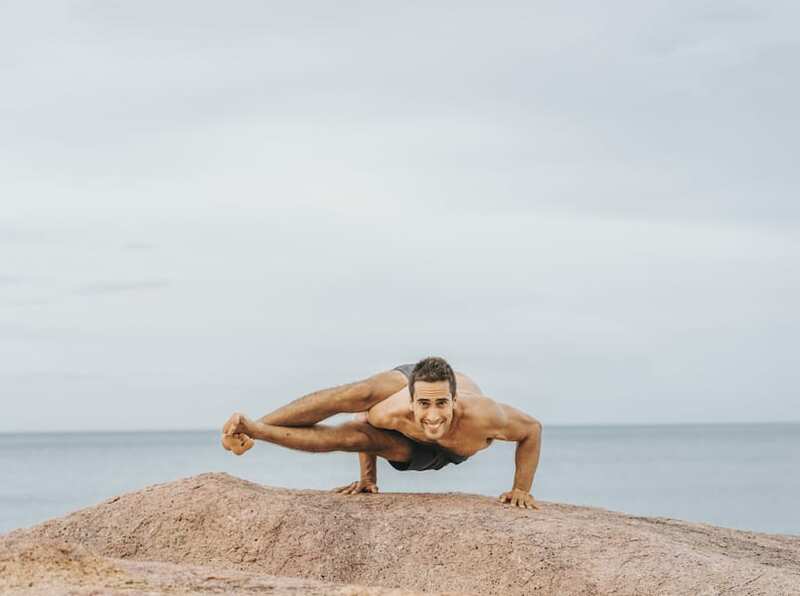 Kosta has undergone extensive training and was certified with five different schools: Yoga 23, Sivananda Yoga, Mysore Ashtanga Vinyasa Yoga, Andiappan Yoga and Universal Yoga and maintains close ties to many other yoga schools around the world. 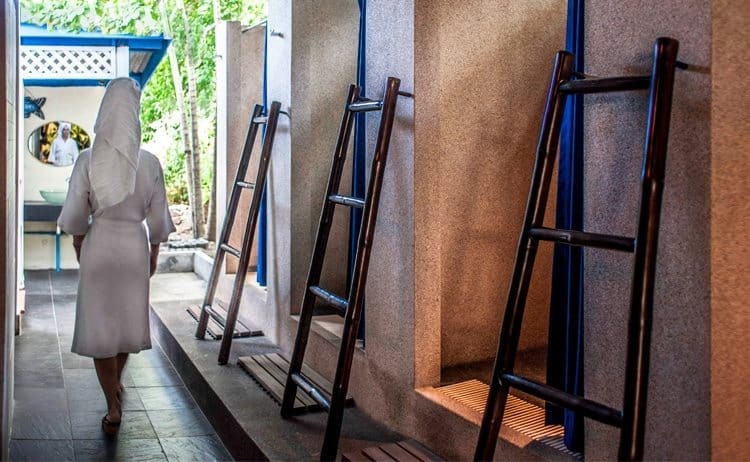 The vision for Vikasa Yoga was born upon realization that the deeper dimension of yoga is a spiritual journey and a conscious evolution of the individual. Seeing this as the ultimate human endeavor, he committed his life to supporting others on this path. Niki came in contact with yoga during a busy time of her life and fell in love with the way it moved her closer to her inner self. From that day yoga has taken her on a beautiful journey from Sweden in to the world; teaching, running workshops, retreats and trainings in Thailand, India and Australia. Niki is an experienced teacher (E-RYT 500) with a background of traditional Hatha Yoga, Akhanda Yoga, Yin yoga, Restorative Yoga, Tantra and breath work and she finds her inspiration from people, nature and life. Niki loves to be in service and share what she believes can make the world a better place. The body benefits from movement, and the mind benefits from stillness. 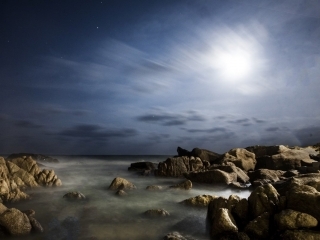 As you progress in contemplative practice, you’ll want some expert guidance. Bruno has lived, practiced and taught Meditation for the Buddhist Monastery Wat Ram Poeng Meditation Center in Thailand for 2 years . He lived, studied, practiced and thaught in the Osho International Meditation Center in Puna and India for 7 years. 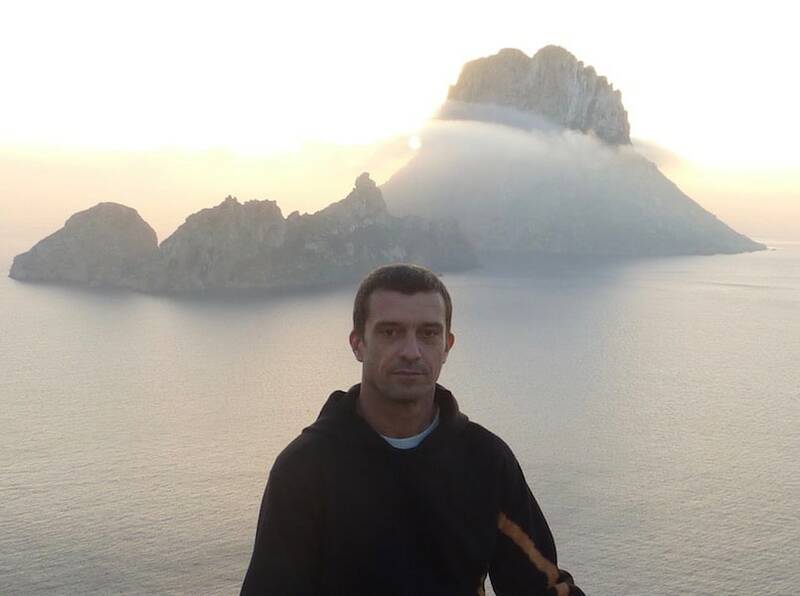 He has facilitated Meditation and self-discovery courses for 17 years in various countries in Asia and Europe and is on a mission to share mindfulness, spirituality and emotional well being with as many people around the world as possible. Michael Lazano first came to yoga as a means for increasing flexibility, but after discovering how much more there is to yoga, quickly fell in love with the practice, which actually happened on a visit to Vikasa for a yoga holiday; he came back and completed both his 200 and 300 hour Teacher Trainings here, before eventually returning permanently, to live in beautiful Koh Samui and take a place on the Vikasa team. 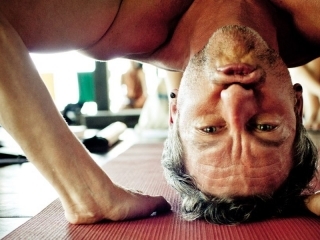 Although Michael only found yoga later on in life, in many ways he was born into the lifestyle, raised as a Vegetarian with a strong spiritual/moral compass, with a philosophy completely aligned with the ancient Yogic texts; he always felt a pull to help and serve the world and all beings in some way or other. Michael feels strongly about promoting choices of happiness, peace and love, along with simply having fun and enjoying this short ride we call life. 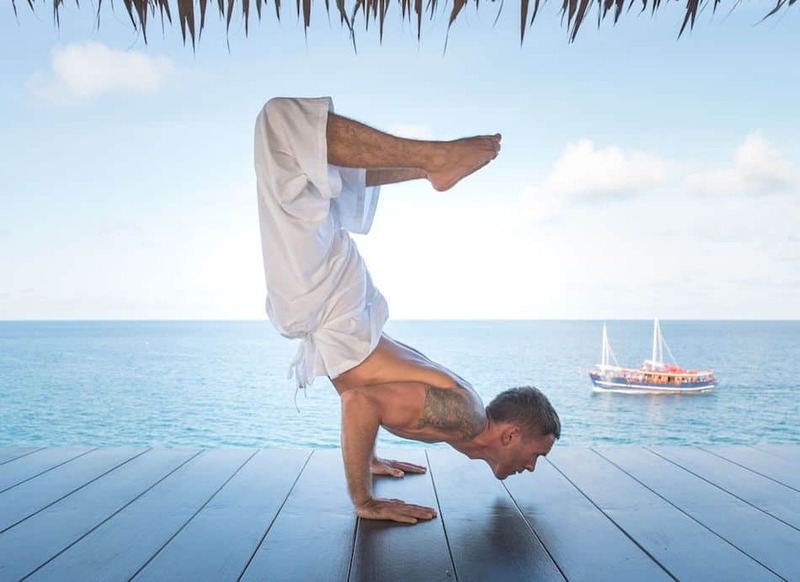 Being in love with meditation and eastern philosophy from the childhood, Alexey Vyazovov has been studying and practicing yoga since 2000, constantly aiming to realize its essence beyond the physical. He apprenticed with a yoga master, received spiritual initiation and started to teach classes on bhakti- and raja-yoga in 2006. Being a teacher of ancient lineage, Alex is committed to preserve and share the knowledge of self-realized yogis. The mission of his classes is to explain the essence and hidden power of yoga in a simple digestible manner in order to help students deepen and improve their practice. 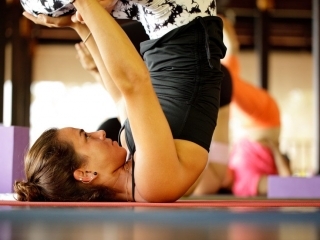 Alex firmly believes that yoga is to be practiced in our everyday life more than on a mat. What will my day be like? * this is a sample schedule and may vary from day to day. Some days additional activities may be added. Classes are on 6 days a week, one day is off. 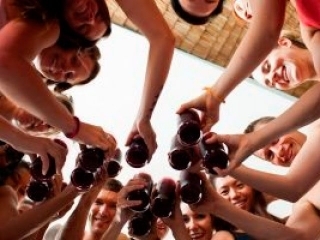 The best yoga teacher training graduation ceremony on the entire planet. 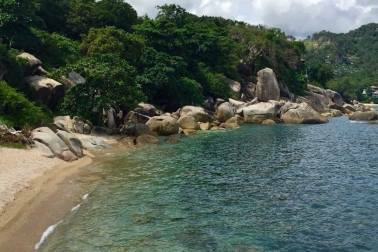 We leave Vikasa around 4pm and hop aboard this incredible sailing boat and set sail for Koh Som Island! Delicious food and drinks are served before everyone jumps off to swim in the warm, crystal clear waters of the bay… the sound of chilled out beats filling the air. Music and dancing on the boat as the sun sets before the emotional and joyful graduation ceremony itself. A truly magical experience shared with special new friends…. A fitting conclusion to what will have been a life changing few weeks. 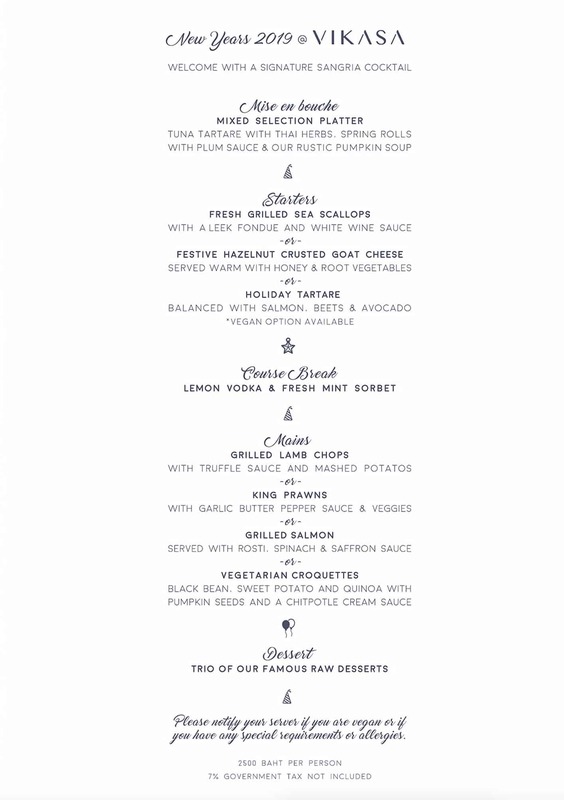 Vikasa serves wholesome health-conscious meals in buffet style as part of your all-inclusive package price. Vegans and vegetarians are catered for with love. Your day begins with a healthful and energizing brunch. 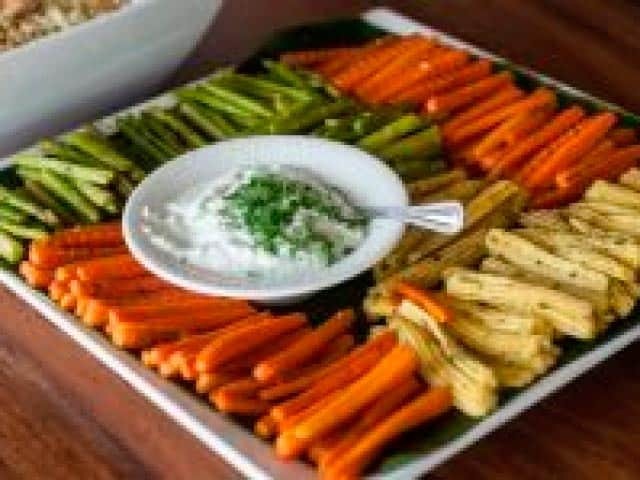 A freshly squeezed juice, tea and coffee, a sunny side up or vegetable omelette, wholegrain toasts, oatmeal muesli with yoghurt or chia seed pudding, super foods, boiled veggies with specialty in-house organic dips, vegetarian sandwiches or pancakes, and of course a variety of fresh-cut tropical fruits. Dinner includes a hot soup, typical local dishes with tofu, brown rice, two or three vegetarian dishes, fresh salad, dahl, and always one seafood dish. For dessert we serve fruits, occasional delectable mango sticky rice or other uniquely Thai savouring. Our homemade signature tea is a perfect finish to your meal. We also serve light snacks during afternoon breaks; however many students prefer to eat out while exploring nearby beaches or famous shopping areas. 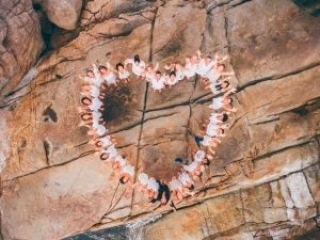 Vikasa Yoga Teacher Training takes place in Vikasa Yoga Retreat. 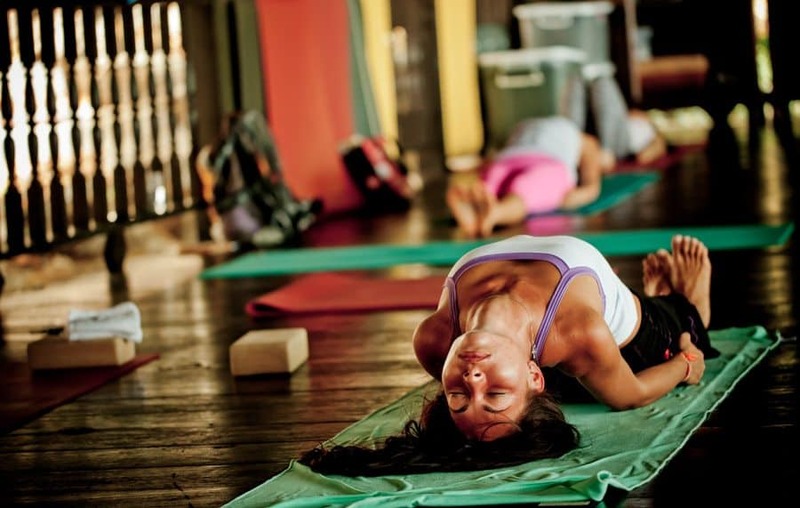 Vikasa is the creation of yoga pioneer Konstantin Miachin, who created this unique place for personal evolution. 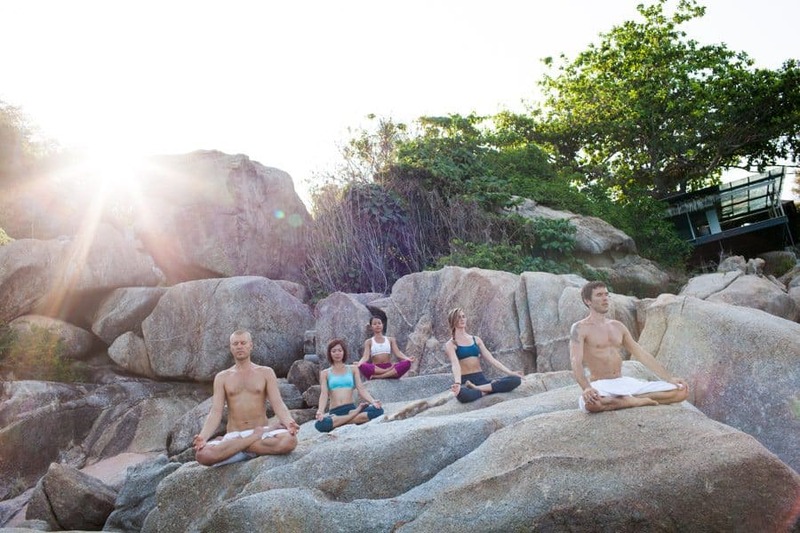 It’s the ideal place to practice yoga, find like-minded people, eat healthy food or just chill-out in an amazing natural environment. 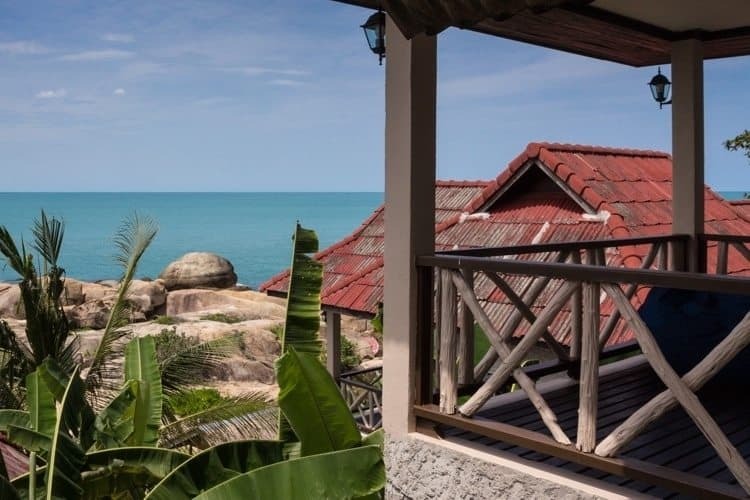 The retreat is located in Koh Samui, Thailand. 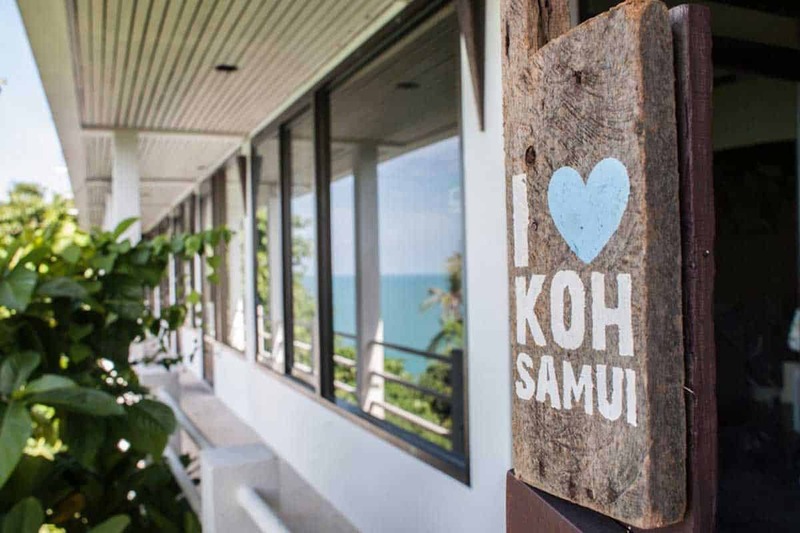 Koh Samui enjoys perfect weather almost year round and offers a culturally rich environment to further inspire you. The Standard Ocean Rooms offer every convenience. 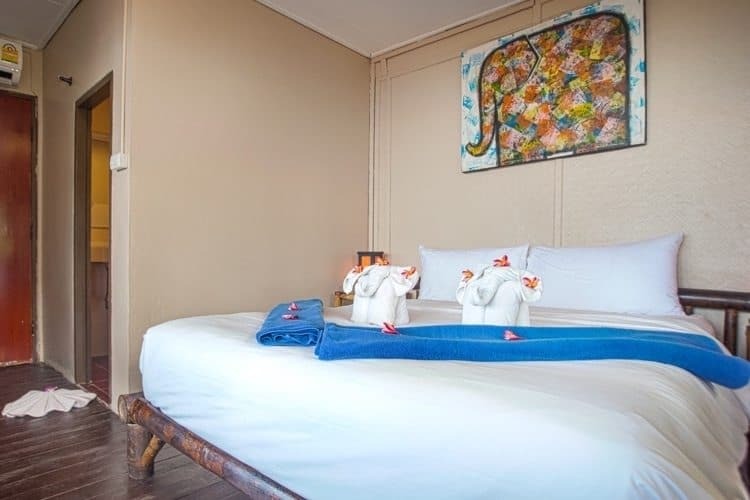 Rest and recharge in a king- sized bed (or request two twins) and awaken to the sounds of nature and the beautiful sunrise that will energize you for the day ahead. 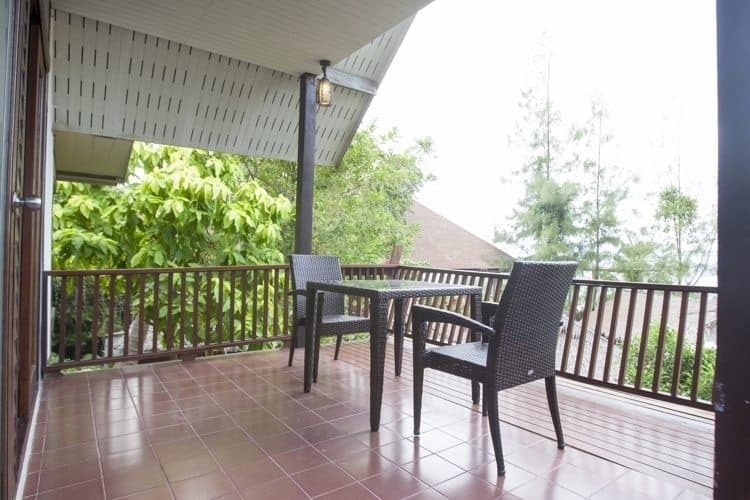 Step out onto your private balcony to enjoy the fresh island air, relax and read a book or meditate and feel at one with the natural surroundings. A stay in one of our Ocean Rooms is restful, relaxing and inspiring. Please note all the ocean rooms are slightly different, you can see in the pictures interiors vary from room to room, but they are all of the same standard. Also some have better views, while the other ones are better decorated and furnished. Either way they are conveniently located and are our best room category. 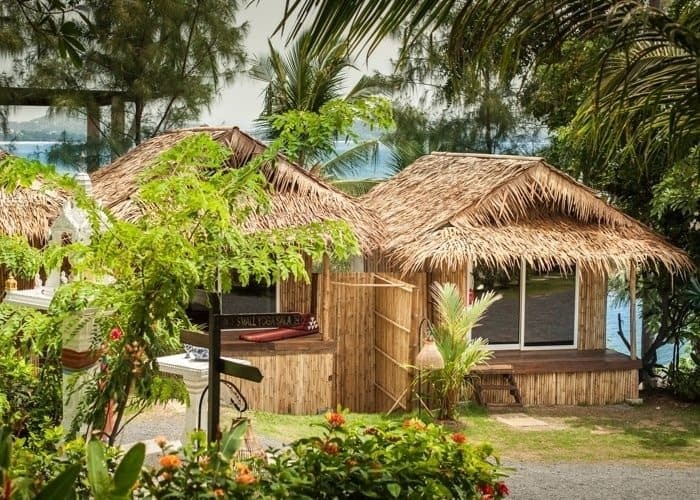 The Standard Beach Bungalows bring guests close to Nature while providing every convenience. 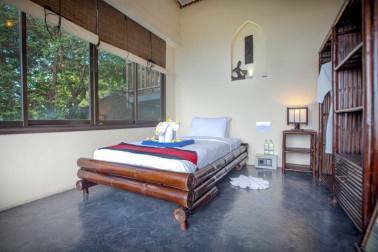 The rooms are quite modest, rustic both inside and out, yet clean and comfortable they feature a queen-sized bed, and direct beach access. 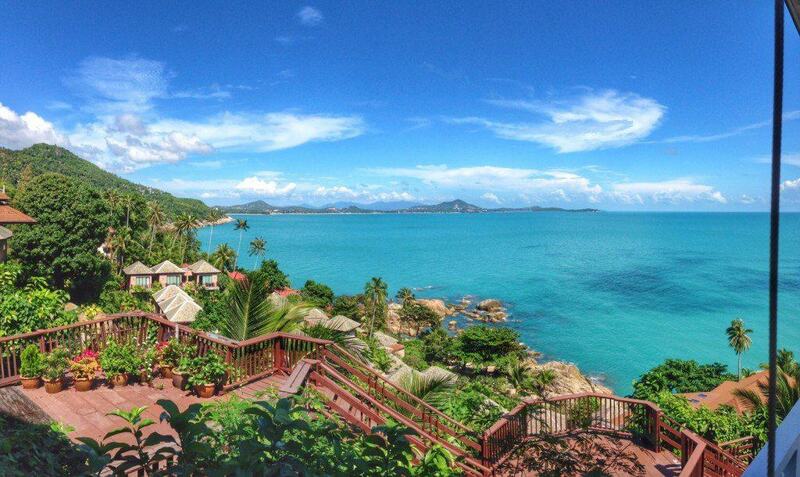 A private terrace allows you to take in one of Samui’s spectacular sunrises. 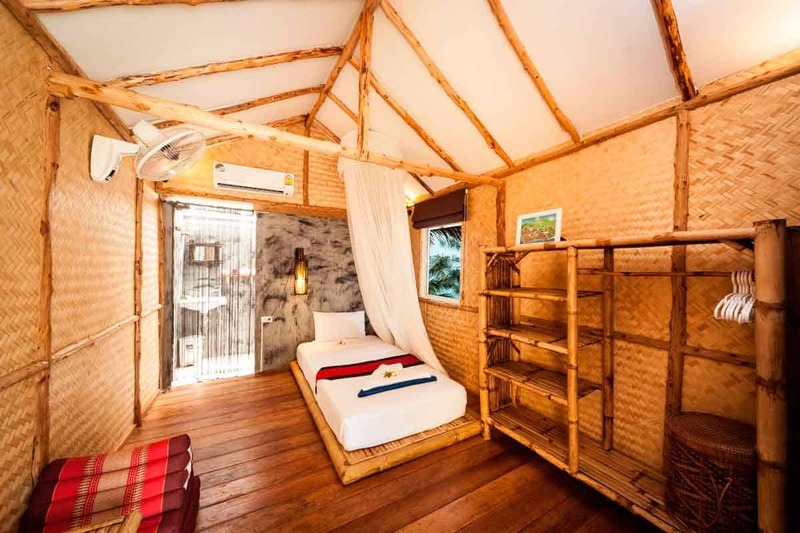 Bungalows come with simple interior bathroom with hot shower, AC, mini fridge, and a safety box. 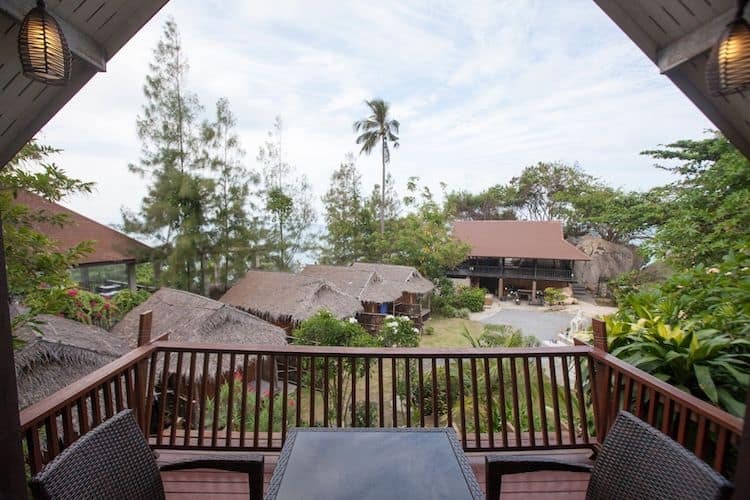 The Superior Beach Bungalows provide the same features as the Standard, but are substantially bigger, more spacious, have better finishings, upgraded king-sized bed (or request two twins) and our most spectacular unobstructed sea views from its terraces. It’s a truly unique waterfront living experience. 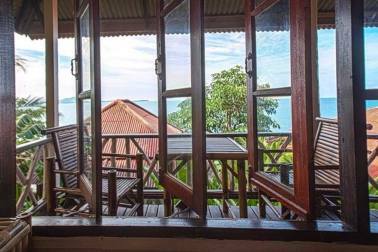 Bridging the gap between a hotel room and an authentic Thai experience, our Yoga Caves are small but very comfortable rooms that offer sweeping views over the sea and rocks below. 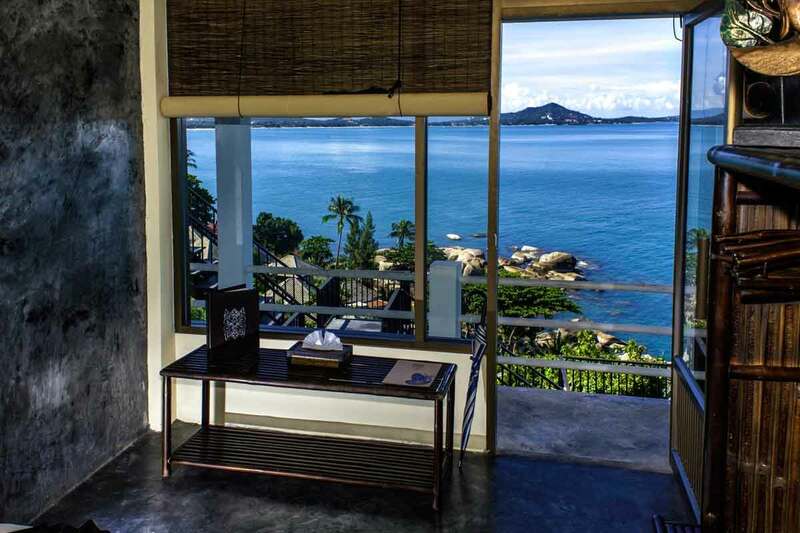 Relax on your comfy bed facing out over the ocean and take in one of the best panoramas on Koh Samui. Sleep, read or meditate in peace. Modest in terms of size but still to our high standards, the air-conditioned Yoga Caves offer a quiet, personal place to stay for individual travelers. 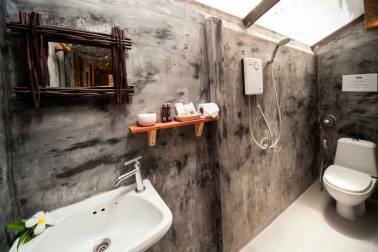 The yoga caves do not have bathrooms en-suite. 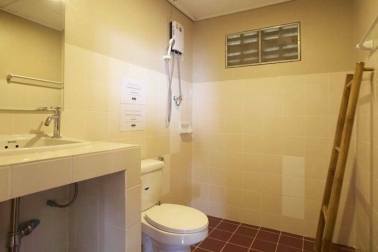 There is a large shared and public restroom and shower facility located just behind the block of Yoga Caves. The showers have hot water and shampoo provided. A bathrobe is provided in each cave for your comfort. 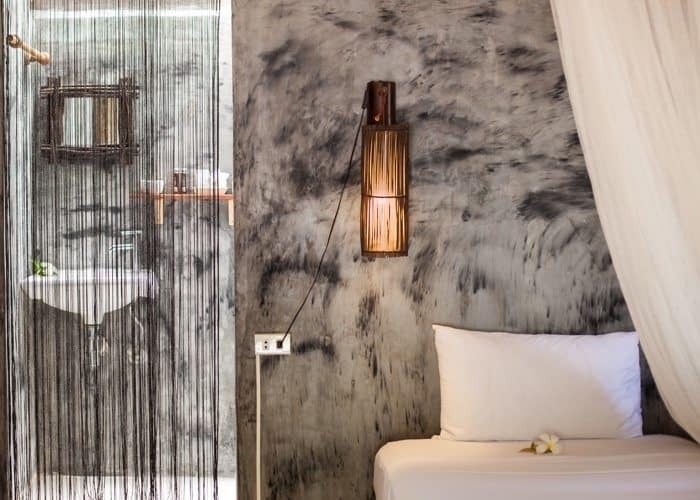 Bridging the gap between a hotel room and an authentic Thai experience, our Yoga Caves are small but very comfortable rooms that offer sweeping views over the sea and rocks below. 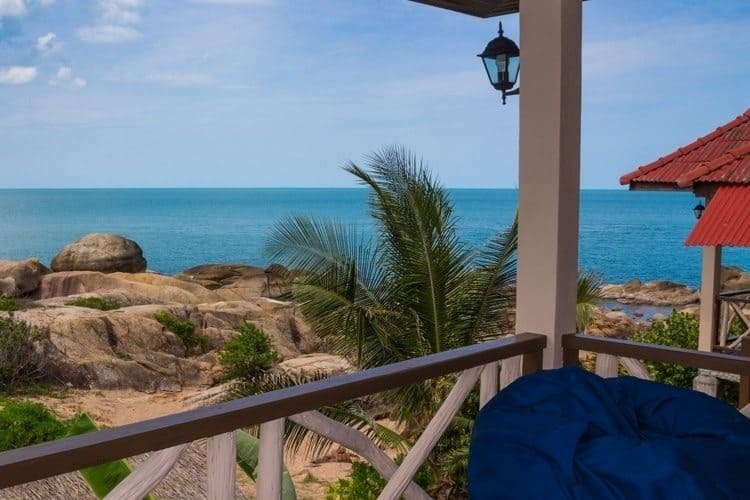 Relax on your comfy bed facing out over the ocean and take in one of the best panoramas on Koh Samui. Sleep, read or meditate in peace. 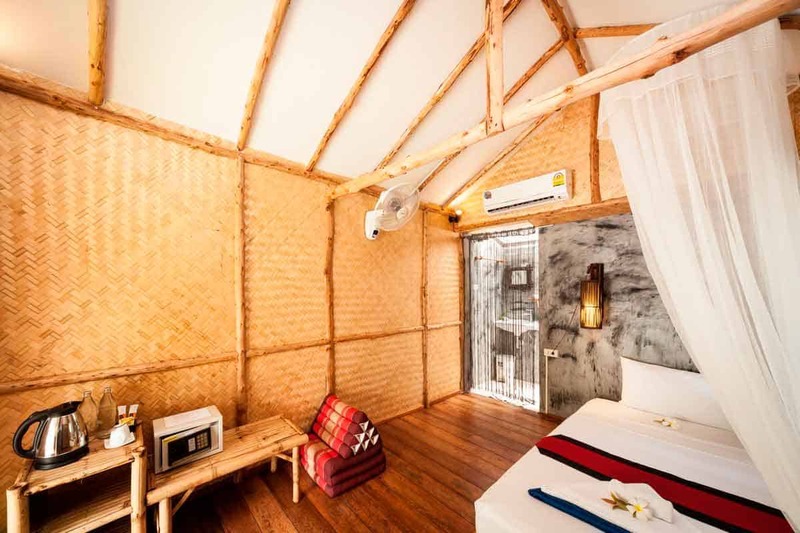 Modest in terms of size but still to our high standards, the air-conditioned Yoga Caves offer a quiet, personal place to stay for individual travelers. 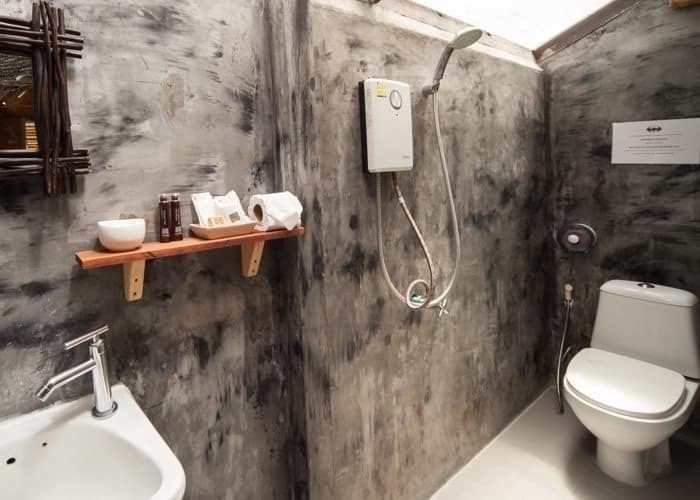 The yoga caves do not have bathrooms en-suite. 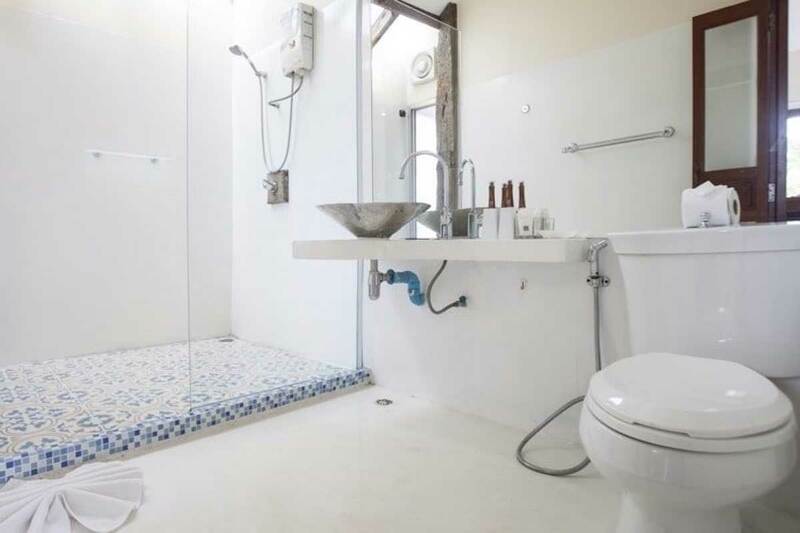 There is a large shared and public restroom and shower facility located just behind the block of Yoga Caves. The showers have hot water and shampoo provided. A bathrobe is provided in each cave for your comfort. 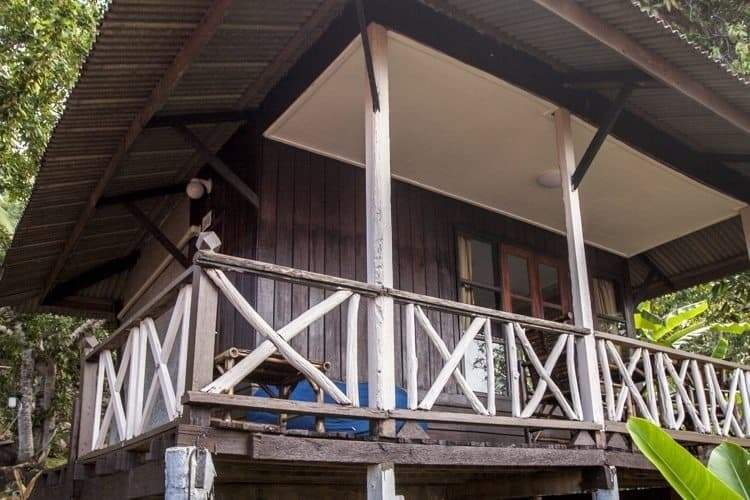 The Zen Bungalows are perfectly named, being traditional huts built with local, natural materials. 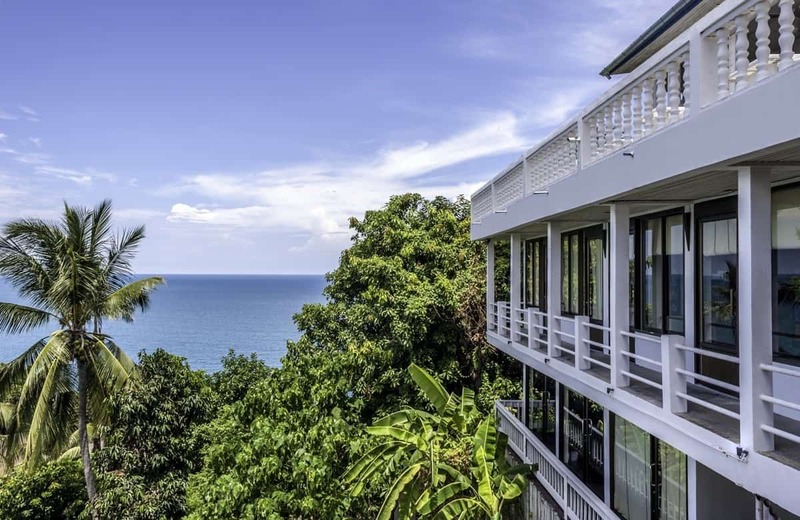 They provide an opportunity to leave contemporary hotels behind and feel yourself become totally at-one with Koh Samui’s natural surroundings, with the stunning views from our cli -top location right outside your door. A truly authentic experience. 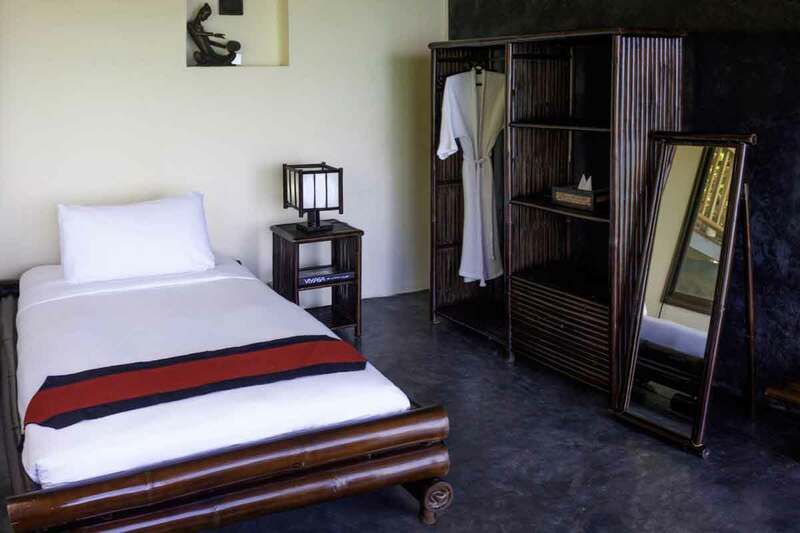 Please note that the Zen Bungalows are designed for solo travelers. 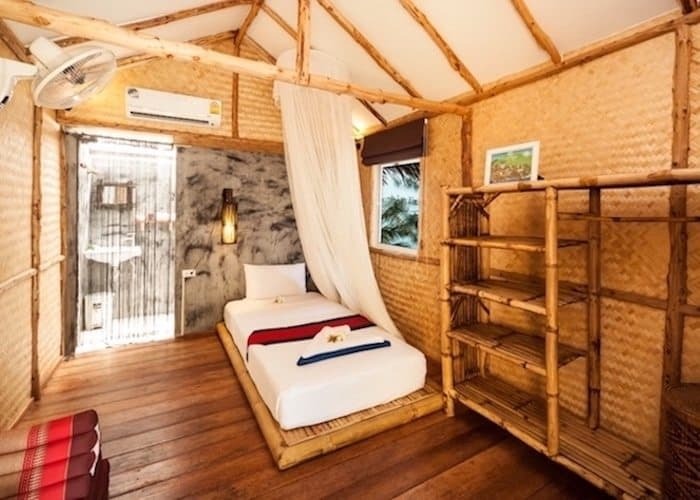 Bridging the gap between a hotel room and an authentic Thai experience, our Yoga Caves are small but very comfortable rooms that offer sweeping views over the sea and rocks below. 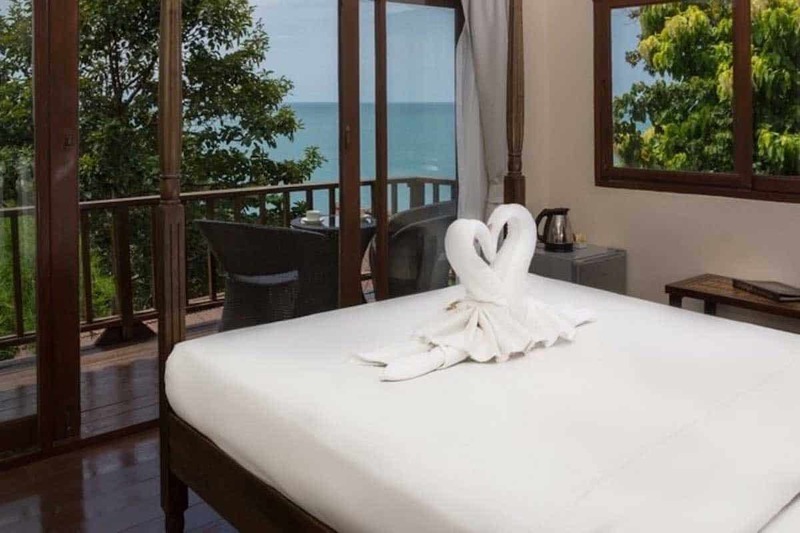 Relax on your comfy bed facing out over the ocean and take in one of the best panoramas on Koh Samui. Sleep, read or meditate in peace. 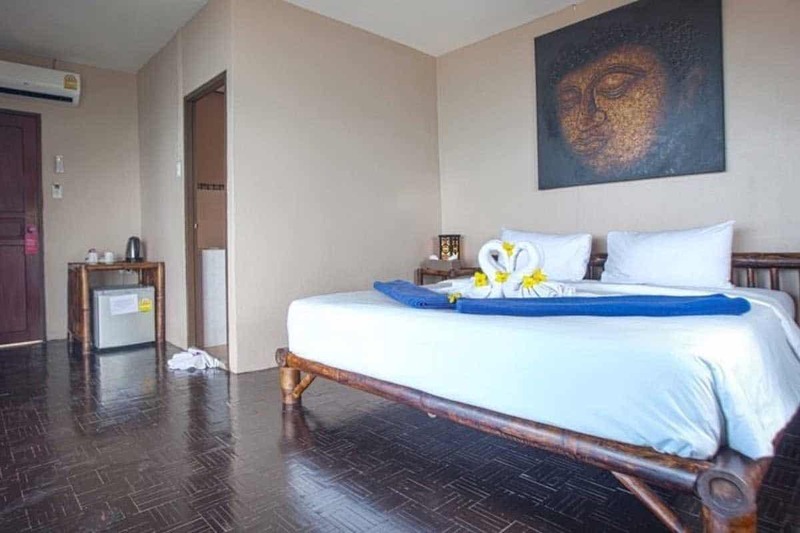 Modest in terms of size but still to our high standards, the air-conditioned Yoga Caves offer a quiet, personal place to stay for individual travelers. 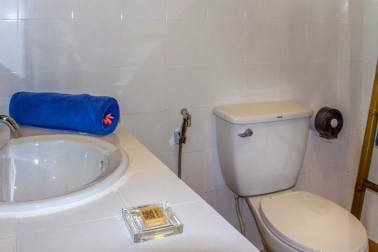 The yoga caves do not have bathrooms en-suite. 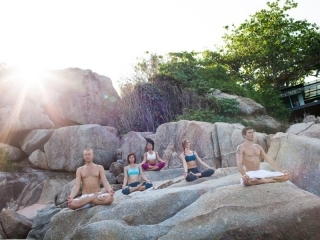 There is a large shared and public restroom and shower facility located just behind the block of Yoga Caves. The showers have hot water and shampoo provided. A bathrobe is provided in each cave for your comfort. 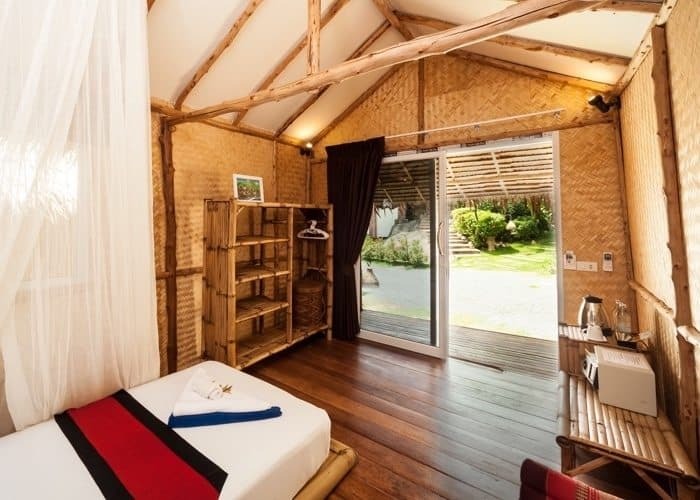 The Zen Bungalows are perfectly named, being traditional huts built with local, natural materials. 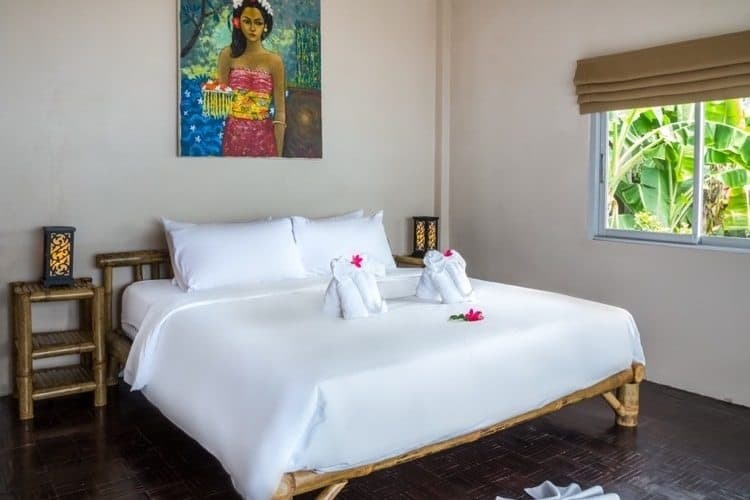 They provide an opportunity to leave contemporary hotels behind and feel yourself become totally at-one with Koh Samui’s natural surroundings, with the stunning views from our cli -top location right outside your door. A truly authentic experience. 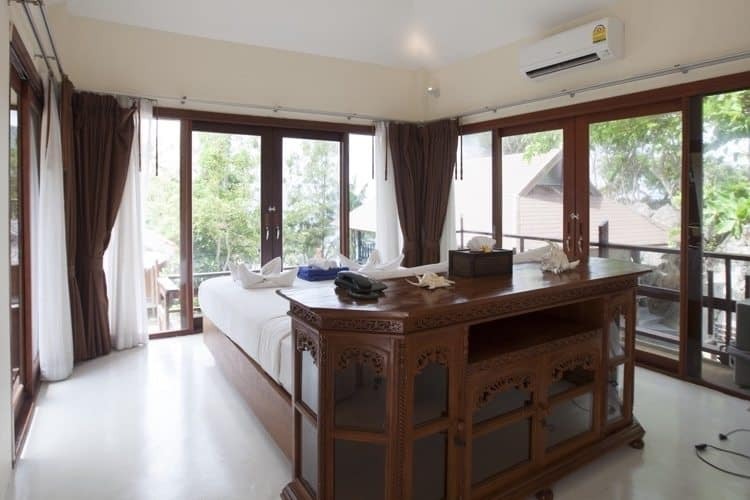 Please note that the Zen Bungalows are designed for solo travelers. The Standard Ocean Rooms o er every convenience. 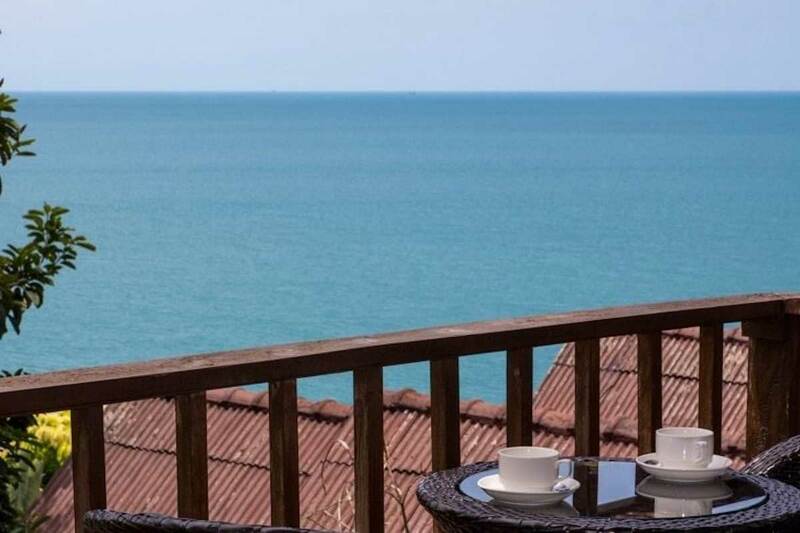 Rest and recharge in a king- sized bed (or request two twins) and awaken to a sea view that will energize you for the day ahead. 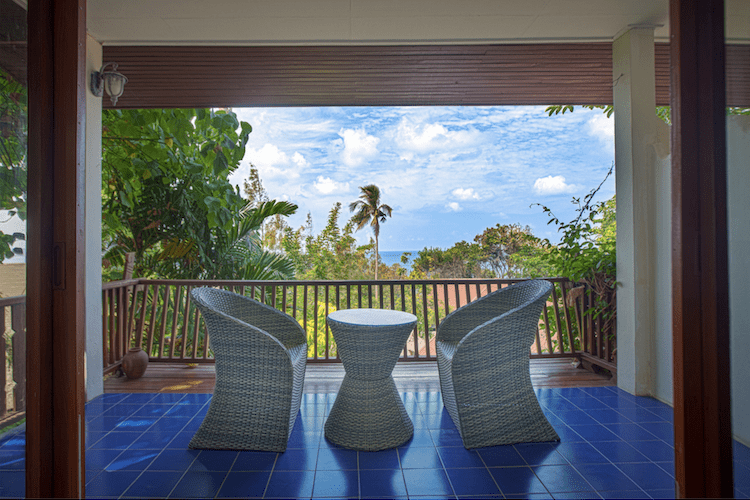 Step out onto your private balcony to enjoy the fresh island air, relax and read a book or meditate and feel at one with the natural surroundings. A stay in one of our Ocean Rooms is restful, relaxing and inspiring. Please note all the ocean rooms are slightly different, you can see in the pictures interiors vary from room to room, but they are all of the same standard. Also some have better views, while the other ones are better decorated and furnished. 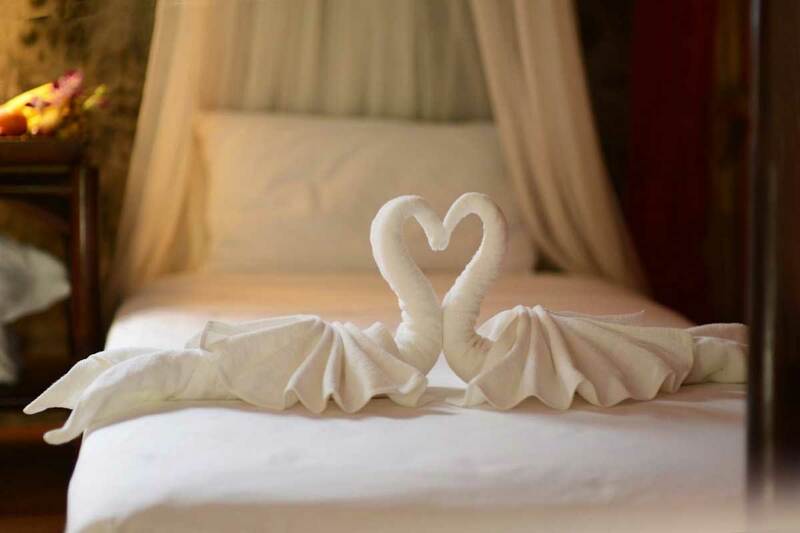 Either way they are conveniently located and are our best room category. Ultimately you will get much more than you paid for. Safe and inspiring environment. New friends for life. Unlimited love and care. Beautiful memories. Things money can’t buy. Calculate the total cost of the course! You are 1 step closer to make a change! Please fill the form! What’s included in the course package? Want our 200Hr Teacher Training Course Manuals? 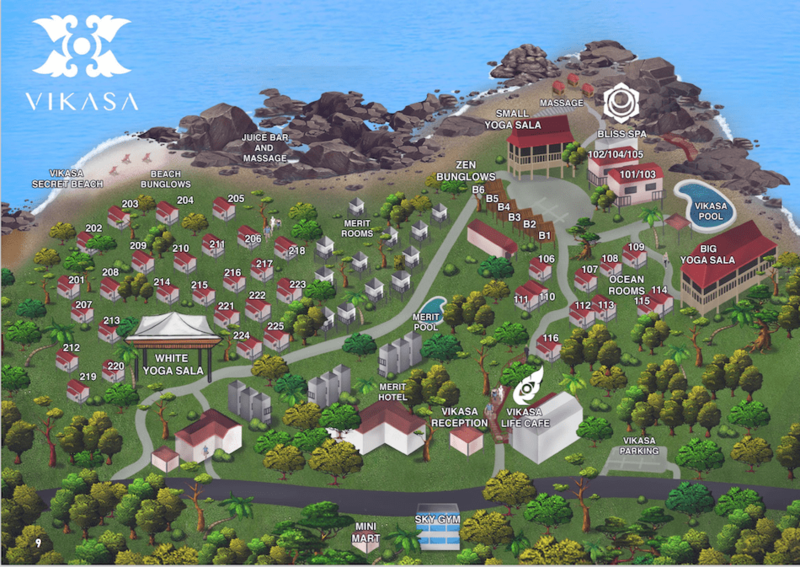 Where is Vikasa Retreat located? 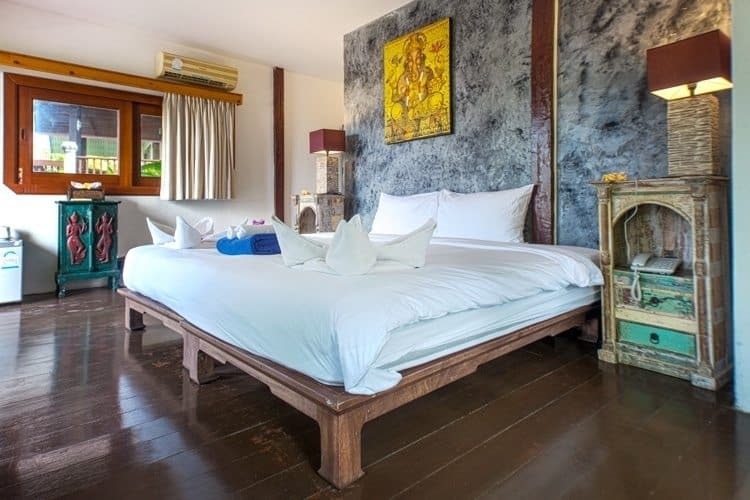 Vikasa is located by the ocean side on the ring road between Lamai and Chaweng Noi beaches. 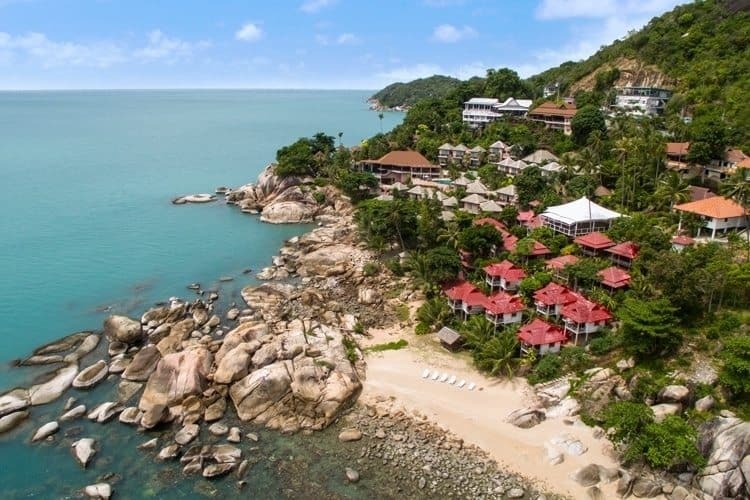 Right next is Samui Cliff View Hotel, and opposite there’s a Muay Thai boxing school and Sky Gym. 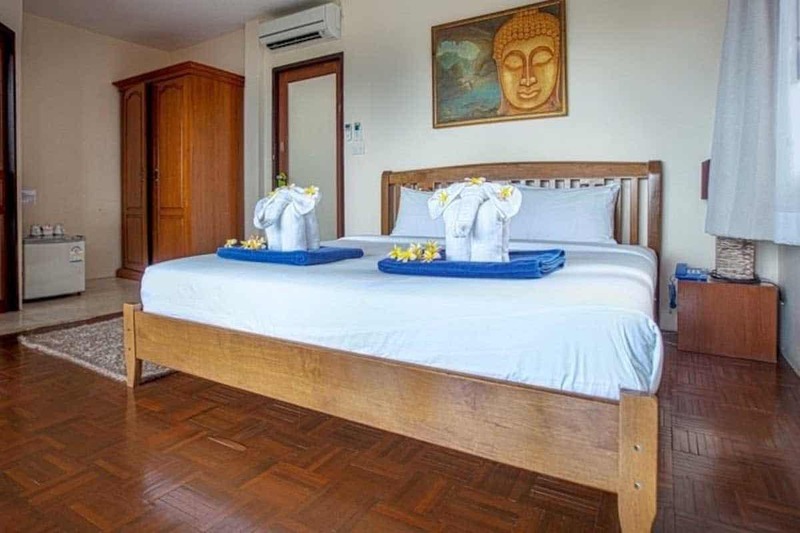 We are 20 minutes drive away from Koh Samui International airport, and 35 minutes drive from both Nathon and Lipa Noi ferry terminals. Vikasa premises are sprayed against mosquitos once a week so you shouldn’t expect to be bothered by it. Just remember to close your room door during sunrise and sunset hours when the mosquitos are usually active. If anything mosquito repellants are available in any pharmacy which are many on the island. How can I prepare myself for the teacher training? How do I get to Koh Samui? 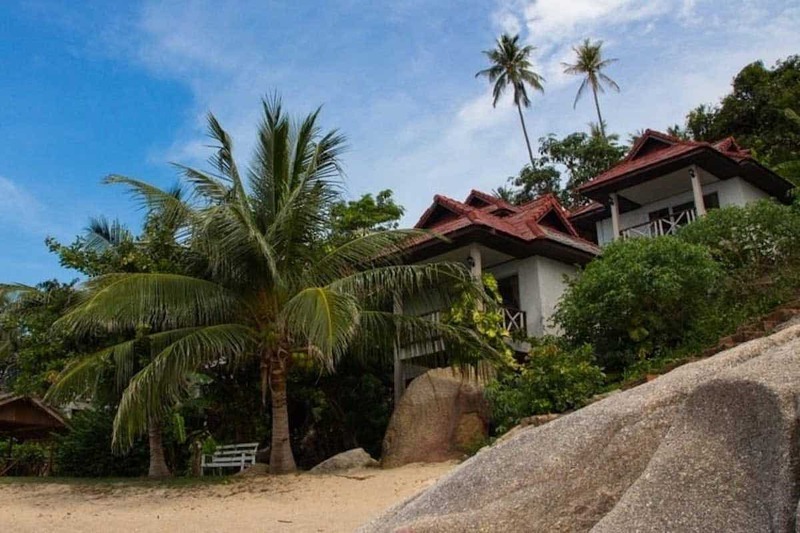 You can get to Koh Samui international airport via . Alternatively there’s an option to fly cheap with AirAsia from Kuala Lumpur or Singapore to Suratthani International Airport located on mainland. 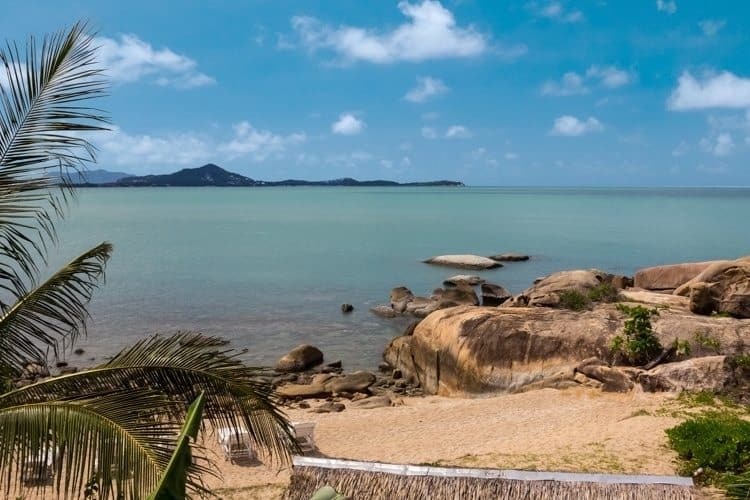 From where you will need to take a bus to Donsak pier, then a ferry or speedboat to Koh Samui, and finally a taxi to Vikasa. 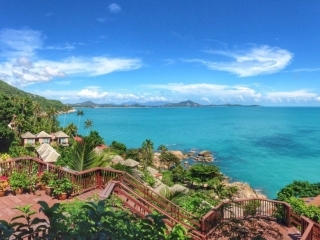 Koh Samui climate is tropical and high in both temperature and humidity. Most people find it pleasant. The average temperature is about 30 degrees Celsius, or 86 degrees Fahrenheit. When it is getting too hot, just enter an air conditioned room and you will “recharge your batteries”. A dip in a pool can also be very refreshing. Remember to drink a lot of water so you don’t become dehydrated. You will experience “summer temperatures” here year round. 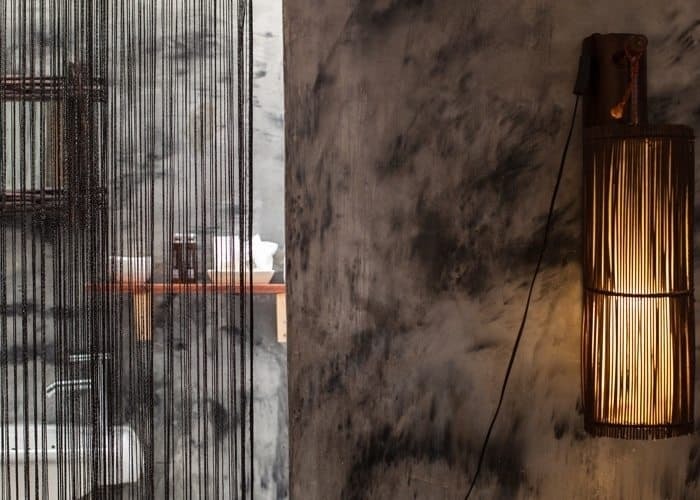 On some days you might find yourself in a refreshing tropical shower for a moment. The rain showers are often short and as island’s water supplies are finite, the rain is needed and important. Do I need to bring yoga mat and towel? Yoga mats and other supplies are available on the spot. Unless your yoga mat is really wicked with a Batman logo on it there’s no need to bring it along. We use Manduka mats at Vikasa. 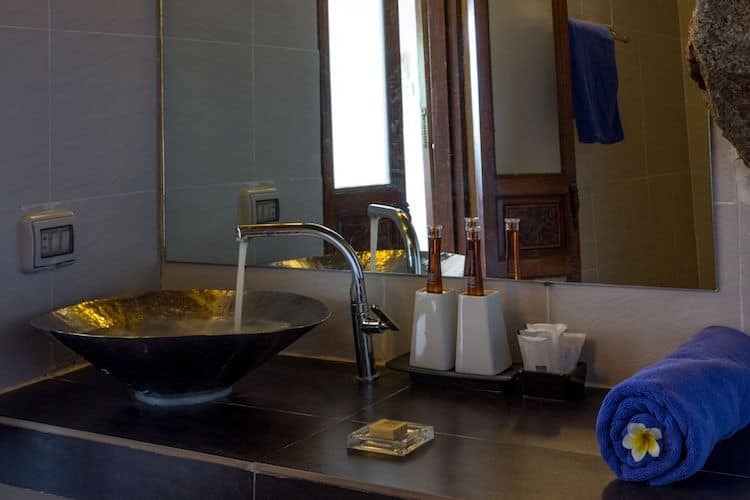 Daily fresh towels are also provided both in your rooms and in yoga spaces. Let’s start with what you don’t need to bring first. There will be towels available in each room including one beach towel. We also provide with a set of shampoos and soaps that are refilled regularly. We might not have your favourite brand though! Please bring your required set of personal hygiene items but don’t worry in case you forget something. 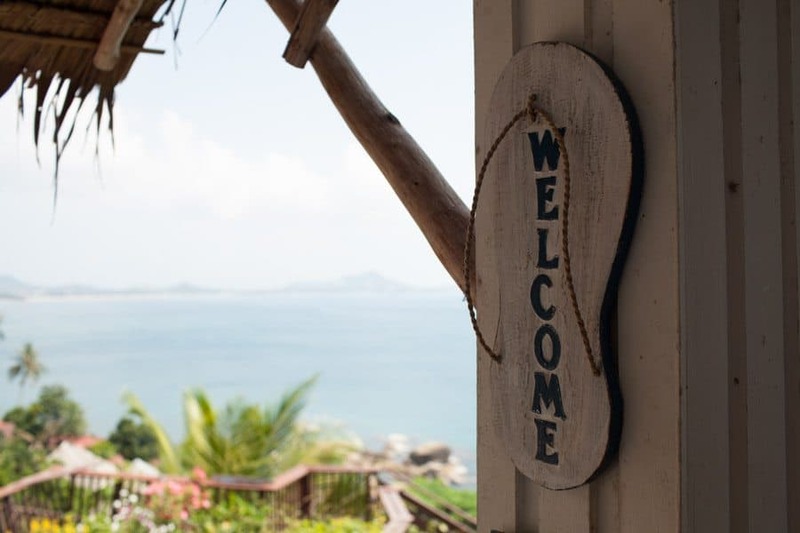 There are plenty of shops you can buy practically anything on Koh Samui. Please note that there are no hairdryers in the rooms so please bring one if necessary. 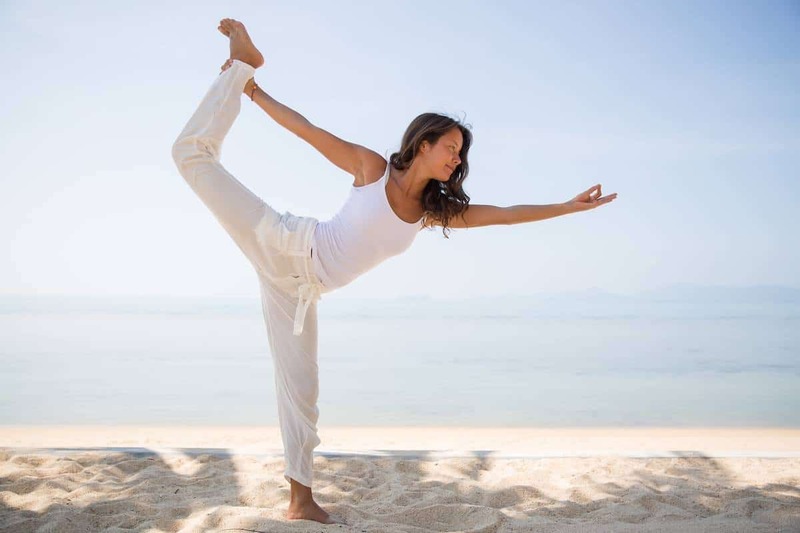 A lot of comfortable clothes that is easy to wash and dry will come handy for your daily yoga practice. Otherwise you won’t actually need a lot of garment other than t-shirts and shorts, light dresses, and of course flip flops. The temperature rarely drops below 24 Celsius, or 75 Fahrenheit, even at night, so no sweaters or jackets please. Don’t forget about sunblock and bikinis! The course is recommended for those who have already successfully completed a foundation teacher training course. The completed foundation does not have to be from Vikasa, it can be from another yoga school. On a physical level, ability to sit still comfortably for at least 30 minutes is required. 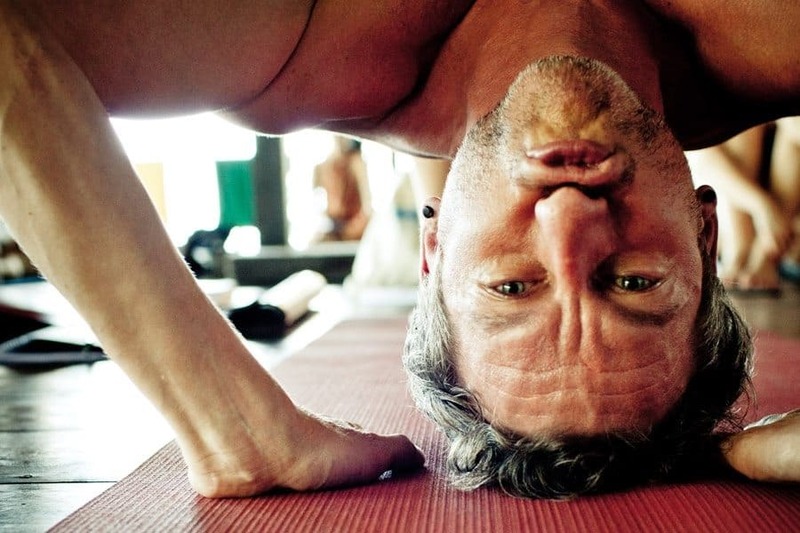 Full padmasana or lotus pose is recommended, and so is headstand, however do not worry if you cannot do them, they might just open up to you during the course. Students should be able to hold chaturanga dandasana for at least 30 seconds (for ladies with support of knees on the floor). 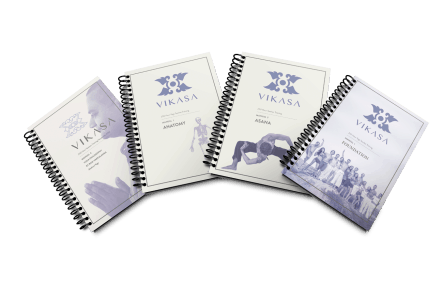 Ability to perform the foundation series of Vikasa Yoga. Accommodation is also provided, but is charged separately at a special discounted rate for the entire duration of the course. Price varies from $700 up to $1,400 depending on room type. Click here to view available room types. * this is a sample schedule, it may vary from day to day. Do I need to get a visa to come to Thailand? • 30 day extension of stay. You can apply at the local Samui Immigration office for a 1 week extension. This normally takes a few hours at the office and cots 1.900 Baht. • Overstay and pay fine at departure. You can just pay a small fee of 500 Baht / per day of overstay when you are leaving the country. This procedure is pretty straightforward, and only requires a small amount of cash on hand. There is a special counter for that in every airport as it is a very common practice, so do not worry about it at all. Just save enough and have the cash ready at airport for the amount of days you have overstayed.• Apply for 90 day visa prior your departure. If you want to be totally flexible and stay longer the best option is to apply for this type of visa in your home country before you leave. Cost and processing times vary so please check in advance and follow procedures of your local Thai embassy. • Fly out, Fly in. Arrange a flight out of Thailand and return, you will be granted another standard visa upon arrival valid for 30 days. Please note that flights form Samui can be expensive if booked last minute so for this option check and book well in advance. Local currency in Thailand is Thai Baht. You don’t need to bring a lot of cash with you. Banking infrastructure is well-developed on Koh Samui. There are save and reliable ATMs on very corner that accept all types of cards, VISA and Masercard preferred. You can also exchange your home currency at any bank easily. 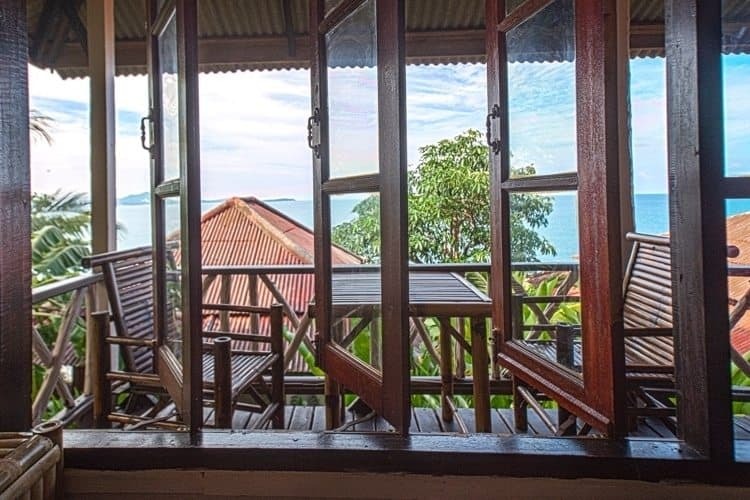 Can I buy everything in Koh Samui? Prices on your typical groceries including tropical fruits are most likely to be lot cheaper than back home. There are 7/11s and Family Marts that are open 24 hours on every corner in Koh Samui. Sometimes 2 or 3 on one corner! There’s also an awesome open-air shopping mall Central Festival where you can buy anything from beach clothes to electronics and cameras. It is located 15 minutes drive from Vikasa. 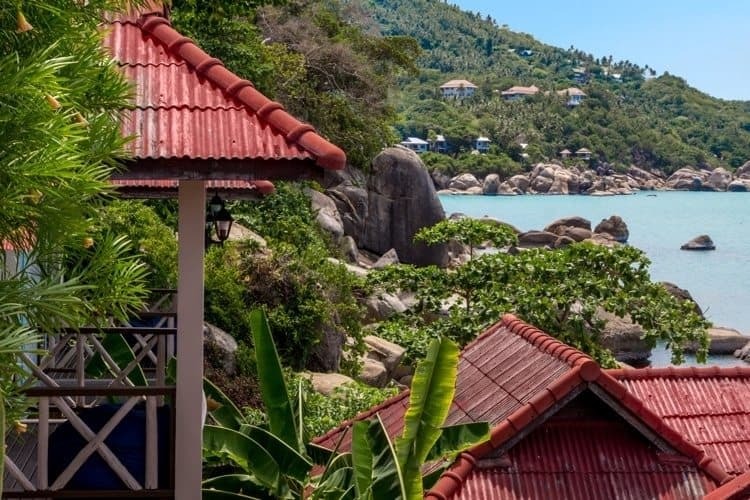 Not to mention plenty of cute little shops along Chaweng and Lamai beaches, which are the two most busiest areas in Koh Samui just 10 minutes drive from Vikasa. Finally each Friday there’s a laid back night market in Fisherman’s Village that is an absolute must-visit. Absolutely. 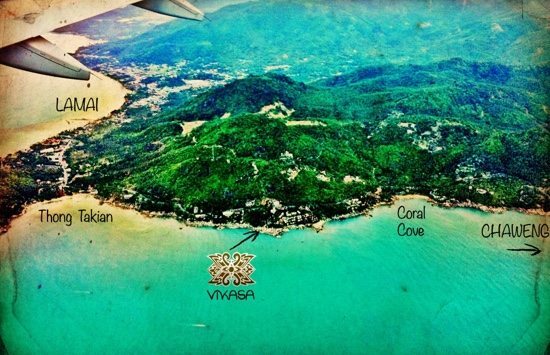 Koh Samui is a safe place in general, and Vikasa in particular. This is a very popular upscale tourist destination, and also an island, so you do not need to worry about safety away from home. Vikasa will be like home, the staff are very helpful and warm, and also students become like a family. How about internet and local mobile? You can easily acquire prepaid local SIM card at any 7-11 or Family mart. We recommend AIS One- Two-Call or DTAC Happy. All SIM cards are 3G ready allowing you to browse Internet at very reasonable speed and rates. Don’t forget that there’s a free WiFi throughout Vikasa resort. Laundry service is outsourced with a next day delivery in most of the cases. Rates for doing laundry are very cheap so don’t worry about maintaining your hygiene requirements. However as we are using outside service providers please try to avoid bringing expensive clothes just to be on a safe side. Do not hesitate to contact Us to receive more information.